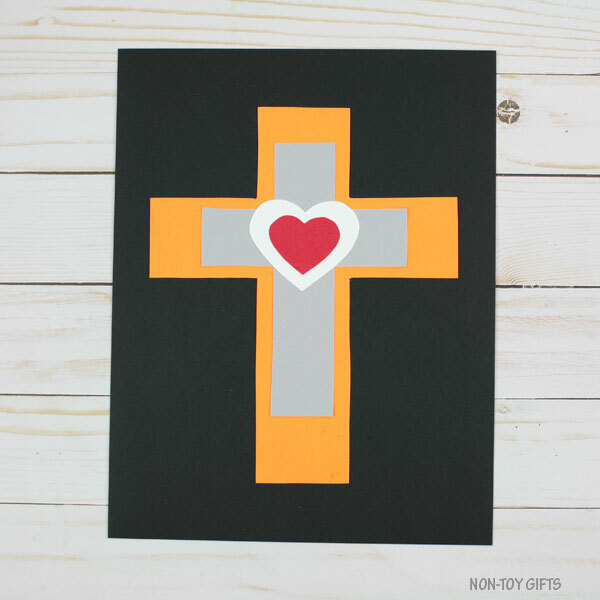 If you’re looking for an easy religious craft for kids, you will love this heart cross craft. 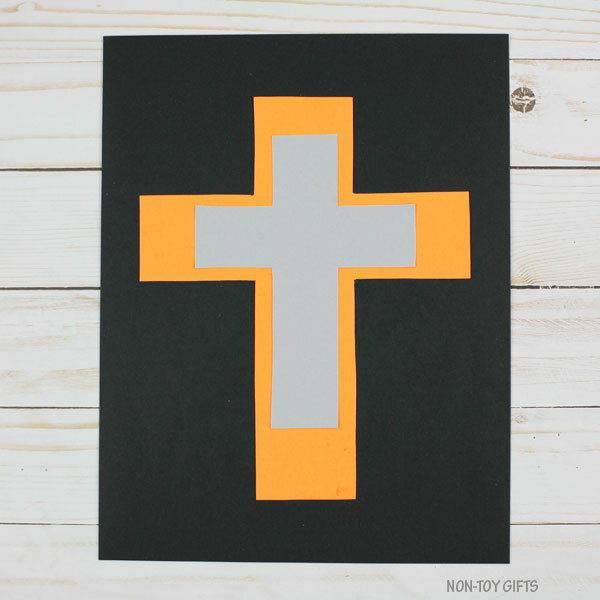 It only uses construction paper and it comes with a printable template. 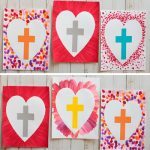 This past weekend I was at church helping with some crafts for kids. While adults were all gathered up for a Lenten Retreat, the priest’s wife and I were entertaining the kids in another room. 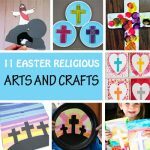 We started with Easter egg painting and while we set the eggs aside to wait for them to dry before decorating, we made a He is Risen! craft. I came back home with a lot of new religious ideas to try for church. 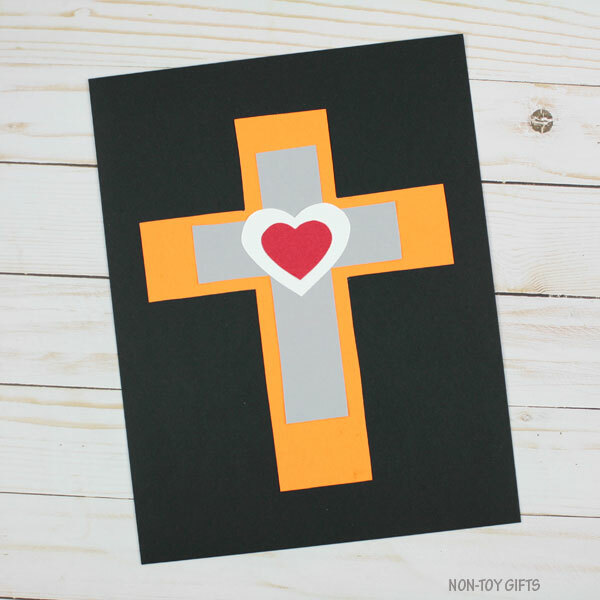 While this heart cross craft can make a great Easter religious craft, it can also be used for any Sunday School lesson. 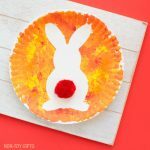 It doesn’t have to be necessarily related to Easter or another religious holiday. 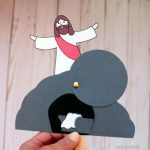 It’s a simple Christ-oriented craft to be used anytime. 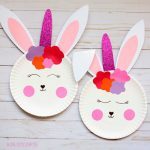 However, if you want to use it for Easter, you may also want to check out our entire collection of Easter religious crafts. 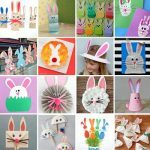 Print the home template, cut out the patterns and trace them on colored paper. 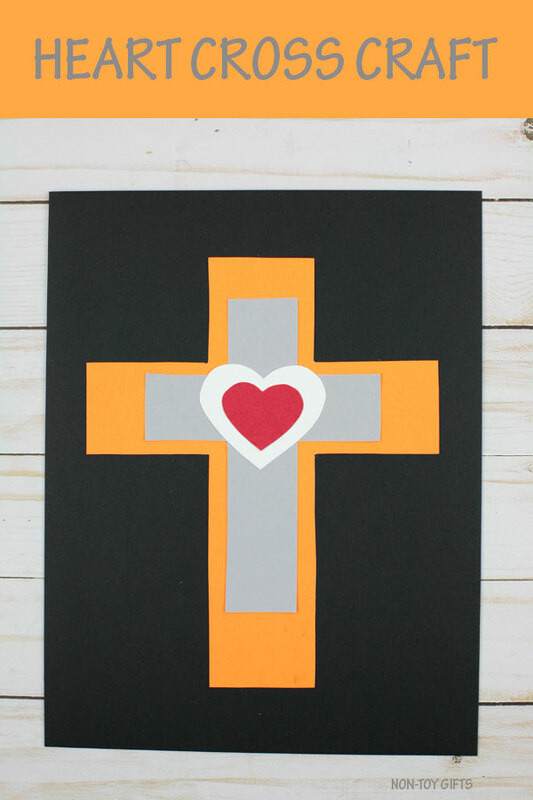 To make the heart cross craft, you will need one big cross, one small cross, one big heart and one small heart. 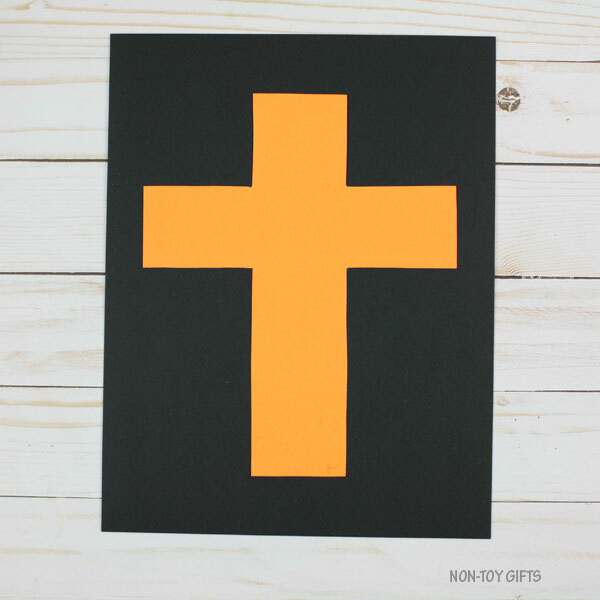 Start by gluing the big cross in the middle of a black cardstock paper. 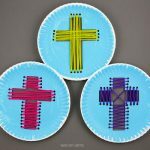 Glue the small cross in the middle of the big cross. The big heart come in the middle of the heart. Glue the small heart in the middle of the big heart. 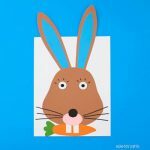 Print the classroom template on colored paper. You can chose any colors you like. 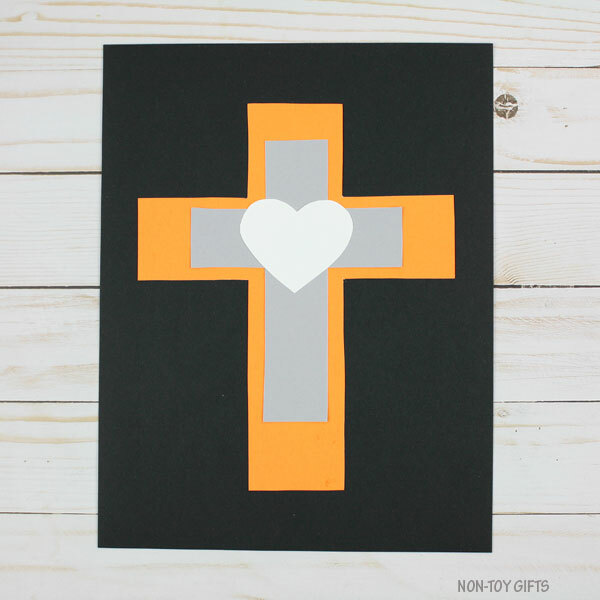 To make the heart cross craft, each student will need one big cross, one small cross, one big heart and one small heart.